Composed by Christopher Aspaas. Edited by Anton Armstrong and John Ferguson. St. Olaf Choral Series. Sacred, Advent. Octavo. Published by Augsburg Fortress (AU.9781451420654). 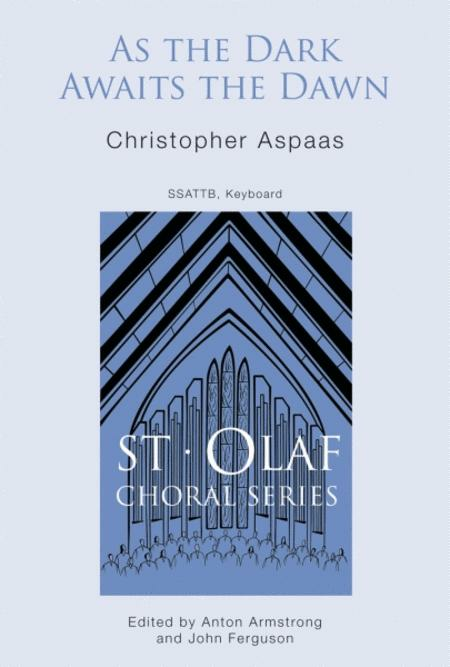 Composed for the 100th anniversary of the St. Olaf Christmas Festival, this extraordinary Advent anthem by Christopher Aspaas takes Susan Palo Cherwien's beautiful text and brings it to life in this magnificent choral setting. The accompanying recording on this page is taken from the Christmas at St. Olaf 2011 concert and is orchestrated for full orchestra with choir. The available version is for piano and choir.